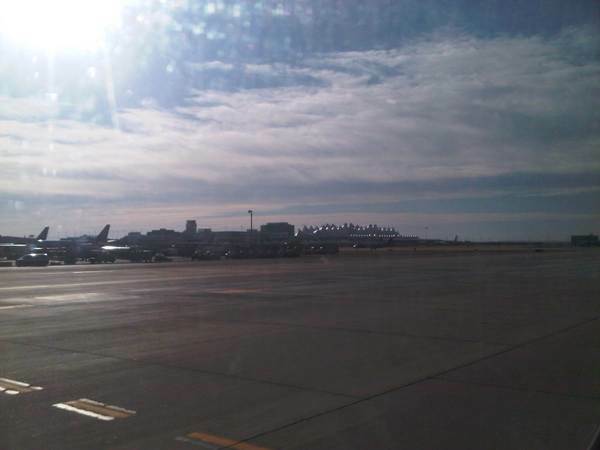 Last week, I flew American Airlines from LAX to Toronto. Flight time was four hours and 15 minutes. 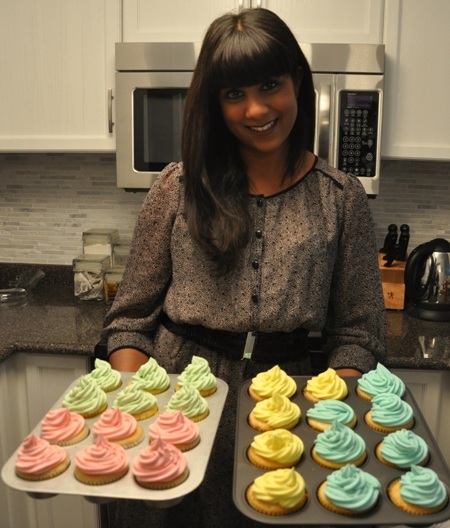 I was there to hang out with the beautiful Natalie and get a sneak peek at the new Four Seasons Toronto. A lot of people don’t realize that Toronto is the Four Seasons’ headquarters and they are building a 52-story flagship hotel there that will also have residences. The first twenty floors will be the hotel and the rest, residences including the penthouse, which sold for a cool $28 million. I was able to check it out by taking a trip up to the top in the workers’ hoist, which is their supply elevator. The views were ridiculous and I will share more about the tour in due time. Good to know: On my flight over, an American Airlines gate agent made everyone check to see if their bag fit in those too-small bag sizers that they have next to the jet way. There were a lot of flustered passengers who had to repack. A flight attendant told me that this is due to the FAA secretly monitoring boarding and issuing the airline a fine (I’m not sure if it’s the gate agents or the airline that gets fined) for allowing passengers to board with oversized bags. The one good thing is that they allow those with bags that are over regulation size to check them for free right at the gate. But I think those days might be numbered so take advantage of it while you can. From Toronto I flew a United Express CRJ-700 jet that was operated by St. Louis-based GoJet to Denver. These planes, configured 2×2, are not comfortable when they are full but they are fine if you have an open seat next to you or, better yet, if you are up front. I got lucky and my free domestic upgrades (I have premier status) went through. That made the three and a half hour flight fly by. 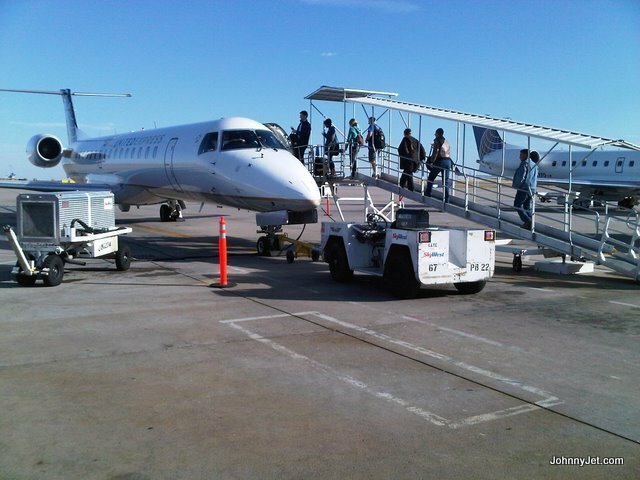 But then I had to sit in the back of an even smaller plane — Embraer regional jet with 49 passengers to El Paso. The configuration is 1×2 and flight time was 1 hour and 24 minutes but thanks to all the bumps flying over the Rockies, it felt longer than my first flight. I drink a lot of water when I fly and it was just my luck that when I went to the loo, the seatbelt sign went on midstream and the turbulence was so bad that I had to lock my knees against the bathroom wall to prevent my head from hitting anything. It wasn’t pretty; I did my best cleaning up the walls. Note: For those of you who fly frequently between the US and Canada, you should seriously consider getting a NEXUS pass. 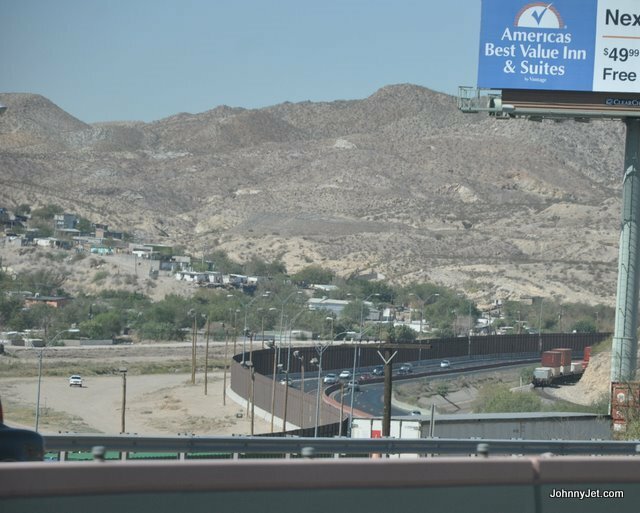 It’s $50 for five years and those pre-approved passengers zip through the immigration line; Canada is one of the few countries that have pre-clearance for U.S. customs. I’m still waiting for my application to be approved, as the earliest appointment I could get in Toronto is December so I had to wait in the long line. It took 30 minutes but security, which immediately follows, was just seven minutes. 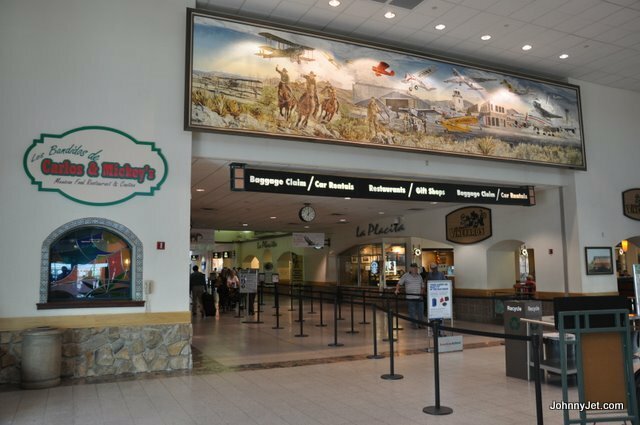 It’s the first time I’ve ever walked through the El Paso Airport – and I gotta tell you, it’s really nice. 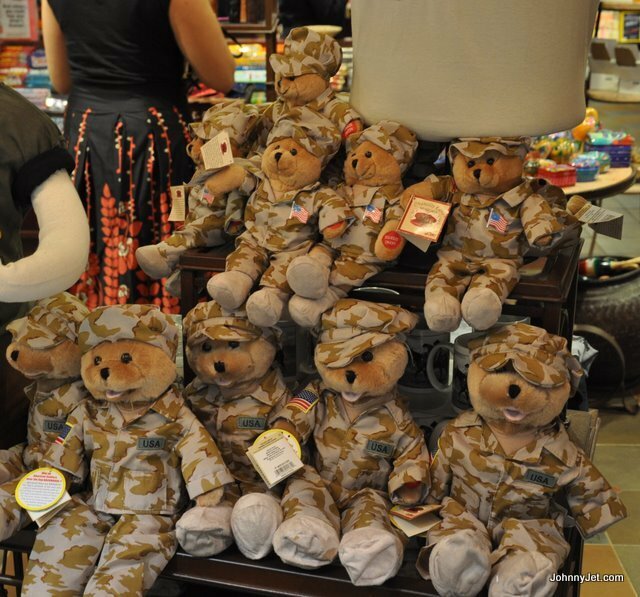 It’s also a haven for our soldiers and I noticed one of the gift shops selling teddy bears wearing camouflage. 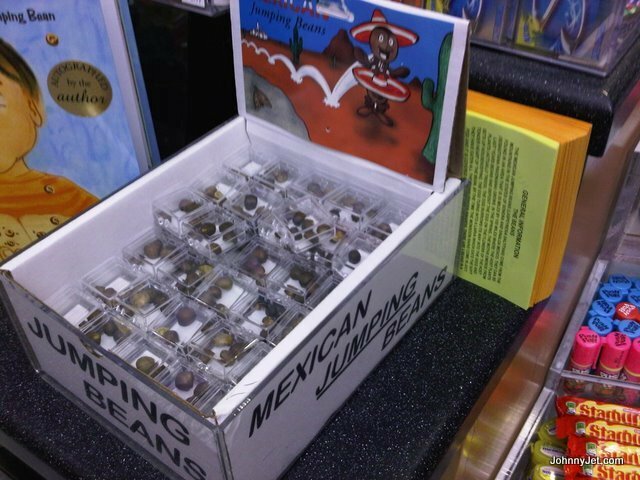 They also sell Mexican Jumping Beans, which I didn’t even know existed anymore. 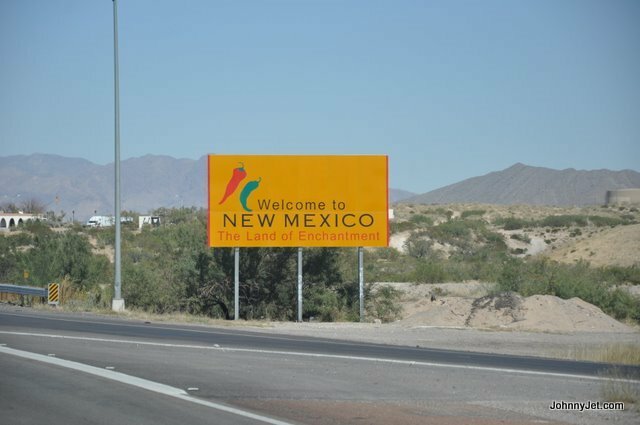 Another plus about the airport is the rental car lot is a short walk and I met our production crew (we’re filming a travel show) on the curb and we drove 50 minutes to Las Cruces, New Mexico. 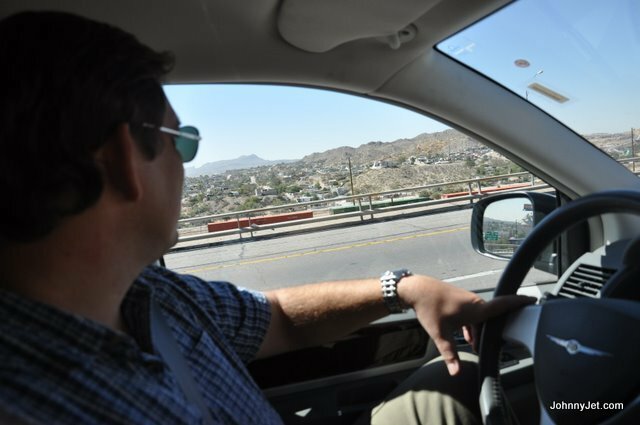 It’s a weird drive because Juarez, Mexico is literally a stone’s throw away when leaving the airport. 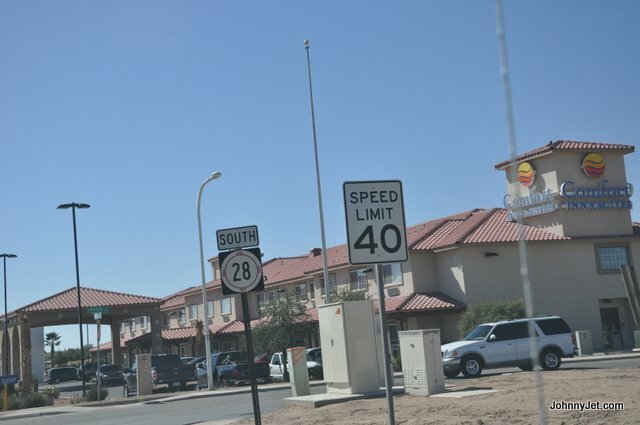 We stayed at the Comfort Inn & Suites hotel near the historic Old Mesilla. 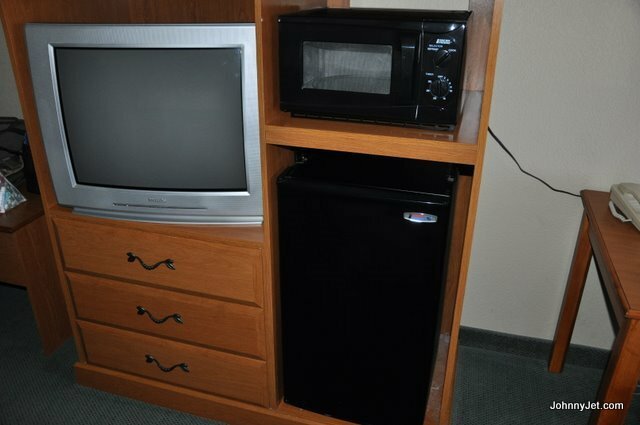 It never ceases to amaze me how much budget hotels offer. The $70 a night rate included free high-speed internet access, free breakfast, free local calls and a free weekday newspaper. 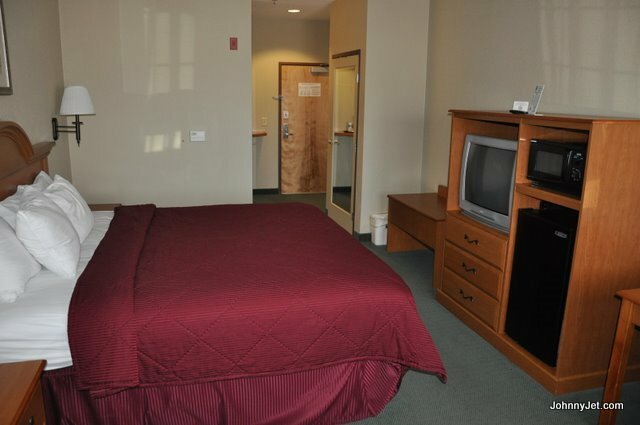 The rooms also have mini refrigerators, microwaves, coffee makers, irons, ironing boards and a laptop size safe. I slept well even though the pillows were bulky but my colleagues didn’t. They said their air conditioner made too much noise and kept going on and off. 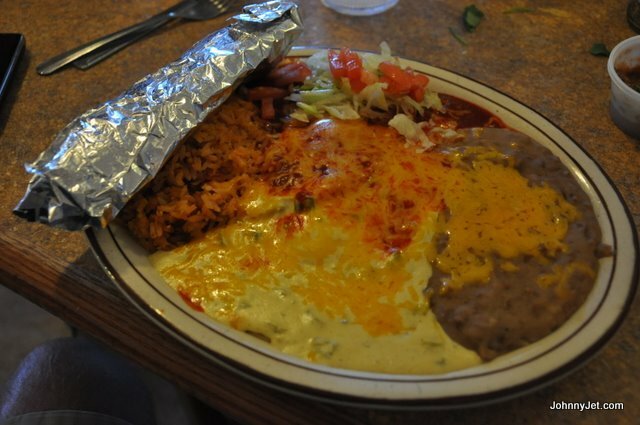 We asked the clerk at the front desk where the best place to get some local food was and she told us that less than a mile away is the historic Old Mesilla, which now features a plaza with shops and restaurants. 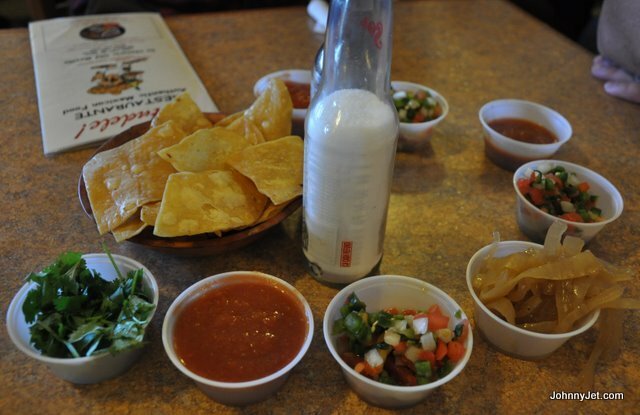 She recommended Andele, which had a line out the door, which took 20 minutes. 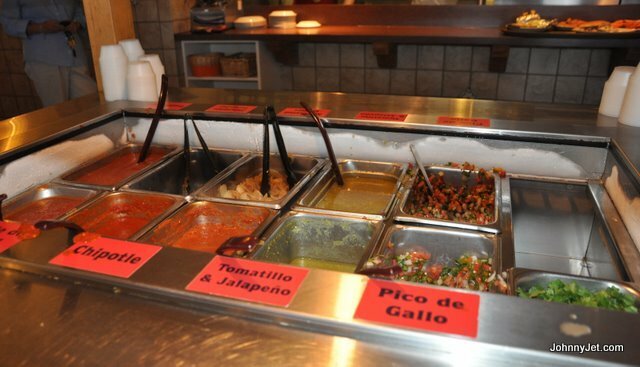 They turn the tables over quickly and they serve some darn good Tex Mex, ridiculously addictive and greasy chips and they have a self-serve salsa bar, to help you make the chips even better! BOTTLED WATER TIP: We asked the waiter where the closest grocery store is to get bottled water and he directed us to a Super Wal-Mart a quarter of a mile from our hotel. We went there and I bought a case (24 bottles) of water for just $3.84. What a deal. And believe me, you will want plenty of water since New Mexico (10-day weather forecast) is usually hot and dry.